A standard residential split system consists of a gas furnace and evaporator coil (typically installed in your attic, an interior closet, basement or garage), with refrigerant lines running from the coil to an outdoor condensing unit and ductwork installed to return grill, filtration system and supply registers throughout your home. 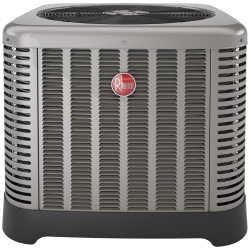 A heat pump split system is all electric with an indoor air handler or fan coil (installed in the ceiling or a closet) instead of a gas furnace and evaporator coil, also with refrigerant lines running from the indoor unit to an outdoor heat pump condenser and ductwork installed to return grill, filtration system and supply registers throughout your home. 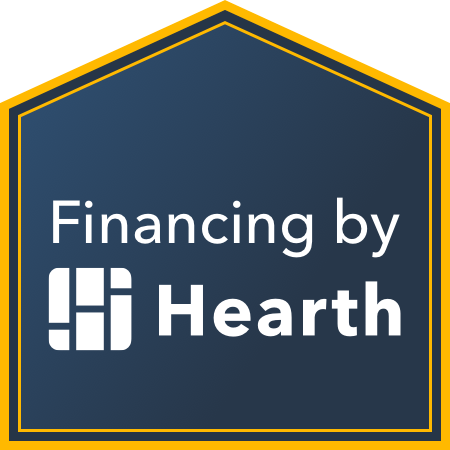 A packaged unit is an all-in-one combination heating & cooling unit, most often installed on a rooftop – available in gas/electric or all electric heat pump units. Used frequently in commercial applications, but also sometimes a viable option for homes with little attic space – maybe with room for ductwork, but no space to install a furnace. A ductless split system (mini-split) is a great choice for homes with little to no attic space where a typical ducted system is not an option. 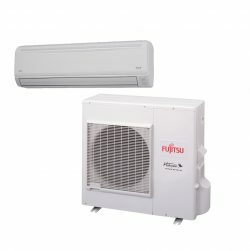 All electric and very energy efficient with multi-zone capability – a wall-mounted or ceiling cassette air handler is installed in a single room or multiple rooms, with refrigerant and electrical lines connected to one outdoor heat pump condensing unit, providing both heating and cooling to one specific area or your entire home. In a commercial application, a mini-split system is also ideal for server rooms where a cool environment needs to be maintained due to heat load from computer and phone equipment.